When it comes to creative designing, you need a lot of templates and accessories. 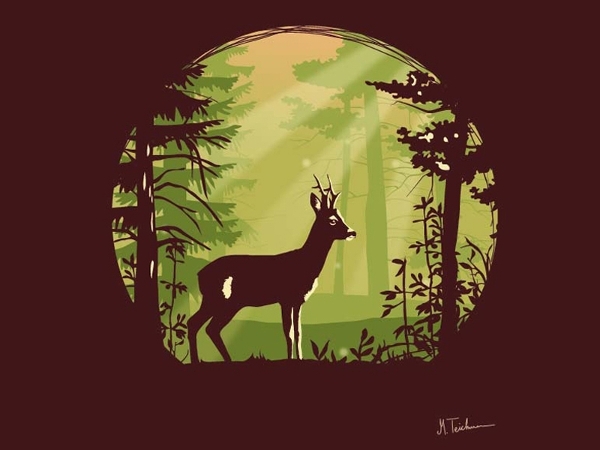 These include various plant and animal images, especially deer free silhouettes. From Christmas cards to scenarios, these images are used extensively for infusing the natural ambience into reality. These days, online greeting cards and wishes are also shared, so you can incorporate these shadows into your documents. 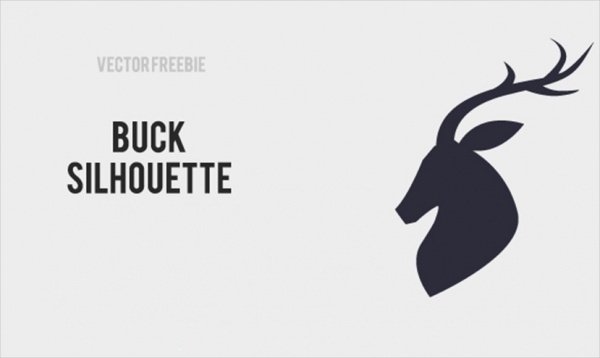 Here are fifteen free deer silhouette printable templates for you. 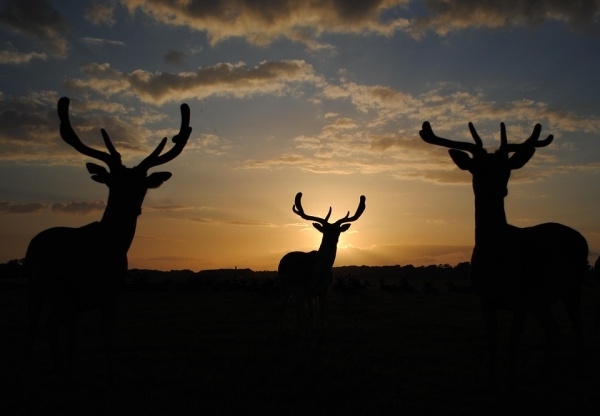 If you need images of stags, bucks or antlers, these are the perfect images you can avail for free. The light background color goes well with all the images. The color variations are also diverse for these images. You may also see Silhouettes Vector. This is a beautiful head shadow of a deer. 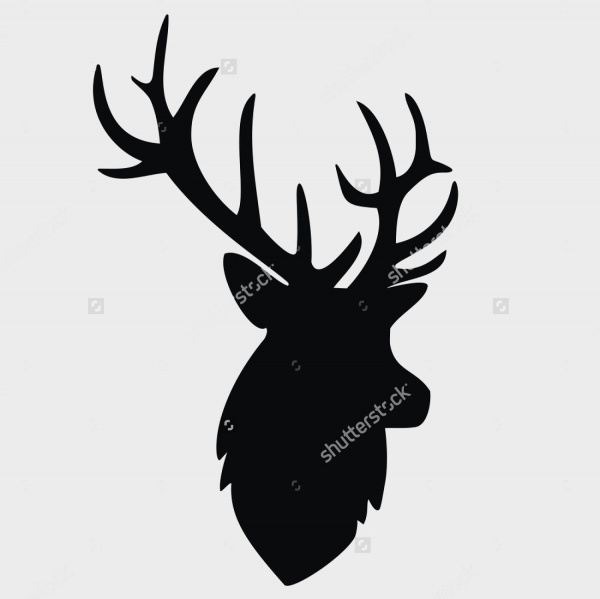 If you need a deer head silhouette vector free, simply download the image for free. These are used on greetings cards, lampshades and so on. You may also see Dancing Girls Silhouettes. 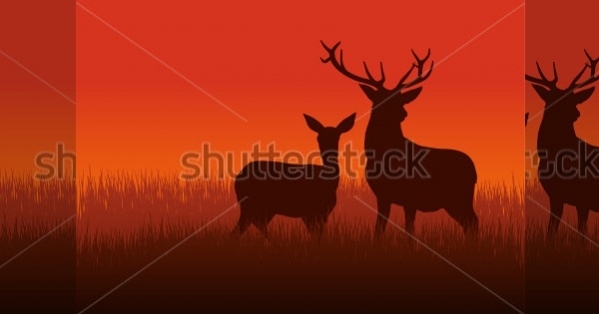 In this template, the beauty of nature and the wild animals co-exist at the sunset. The bright hue adds more marvel to the beauty. These are primarily used in portraits and wall decors. You may also see Horse Silhouettes. 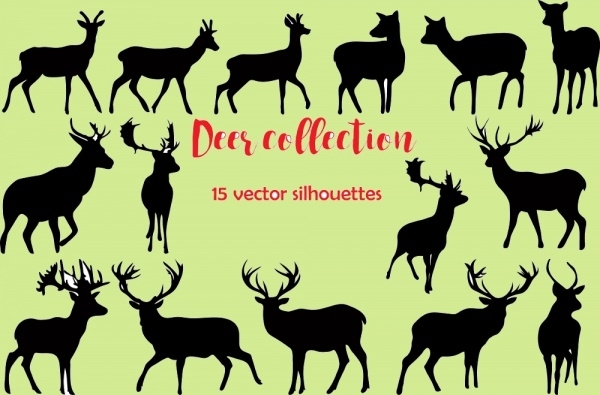 If you need a mixed collection of deer silhouettes, you can download this collection for free. 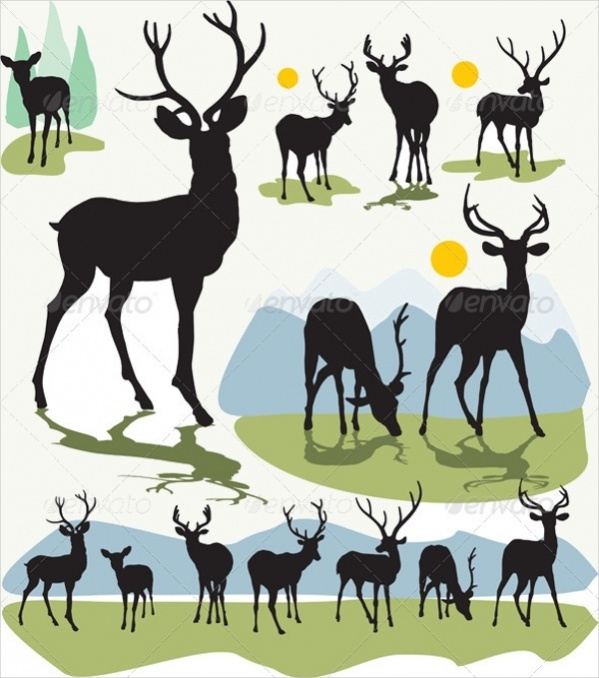 A number of deer are there in this template. They are presented in different poses. Digitalized art often involves deer templates. This is a nice template that can be used for this purpose. The white and black gradient has been presented well in this image. This is a diverse deer collection and consists of several figures, big and small. These images are editable and you can download them in the available format. This is a nice silhouette that can be a good picture for a greeting card. The red background is an ideal for the background. 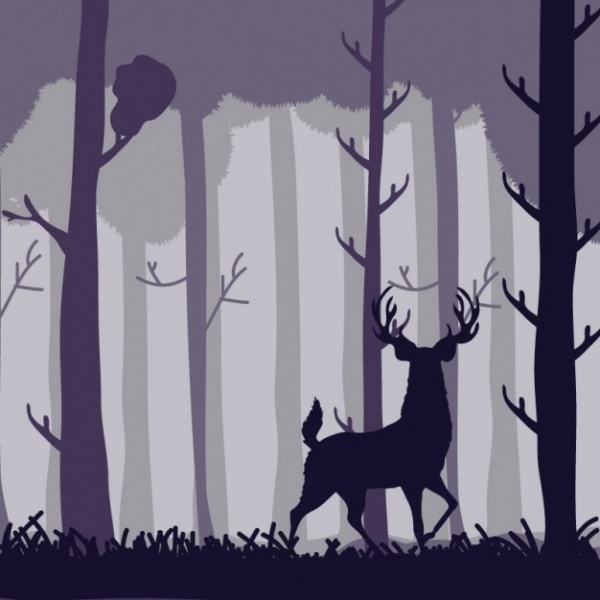 The dark figures of the deer in the foreground look beautiful. During Christmas, deer images are very common in stationary cards, gift boxes and so on. You can use this template in these accessories. These colorful images have prints of plants and leaves running across their bodies. 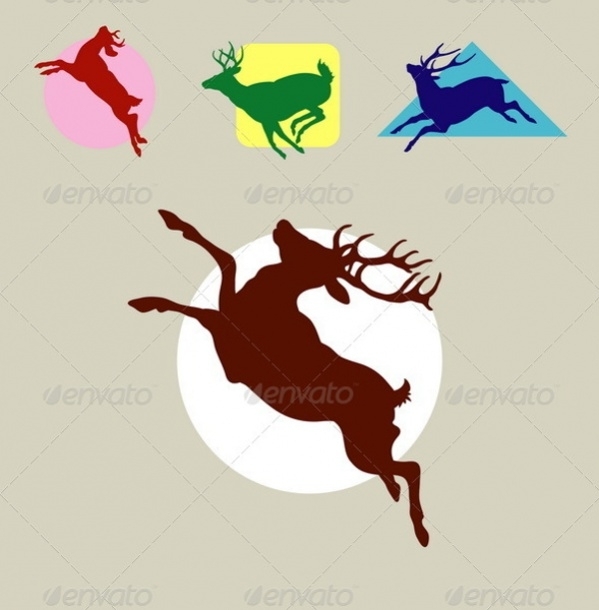 This is a beautiful template with a headshot of deer. It is dark in color with a green hue and the light background shade makes the picture beautiful. 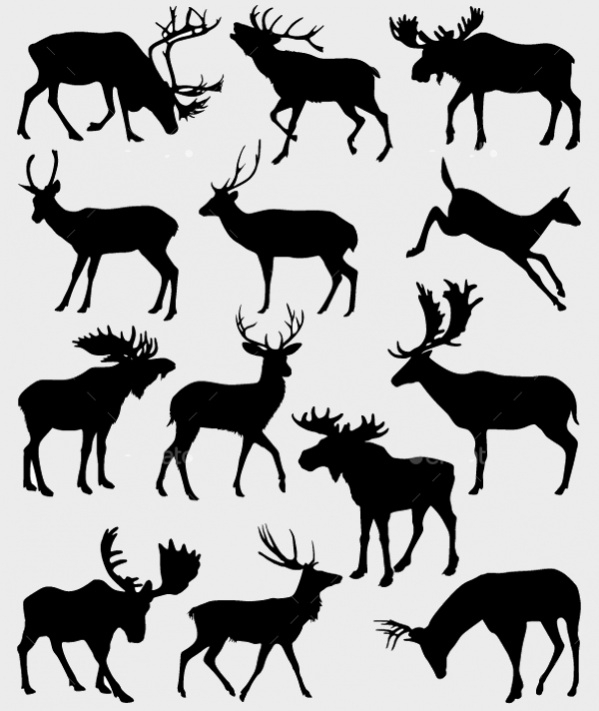 If you need a free silhouette of deer and antlers, simply download the template. 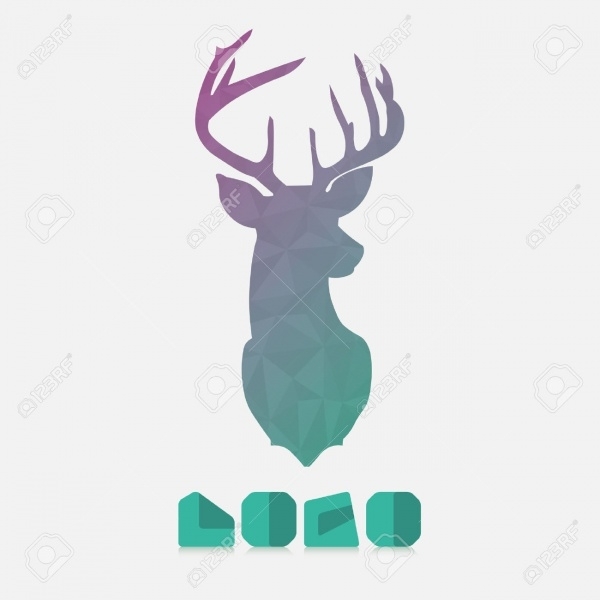 The heads of the deer are placed at different angles and the dark foreground color looks elegant. 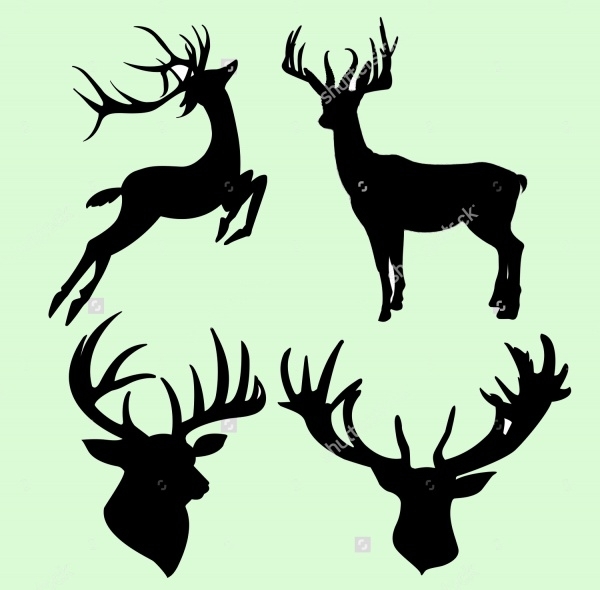 Different postures of deer have been depicted in this template. You can use them on covers of books, magazines, books for children and so on. These can be edited before you download them. 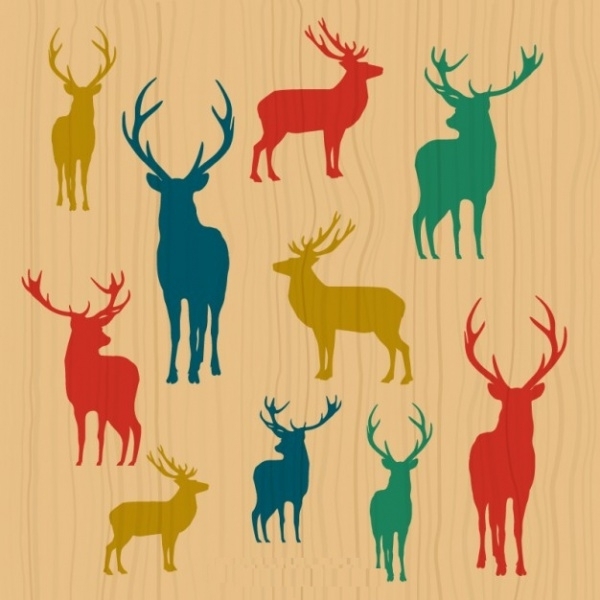 This template has a number of reindeer in different positions. They are presented in a running posture. The bodies are pitch black and the figures look really elegant. 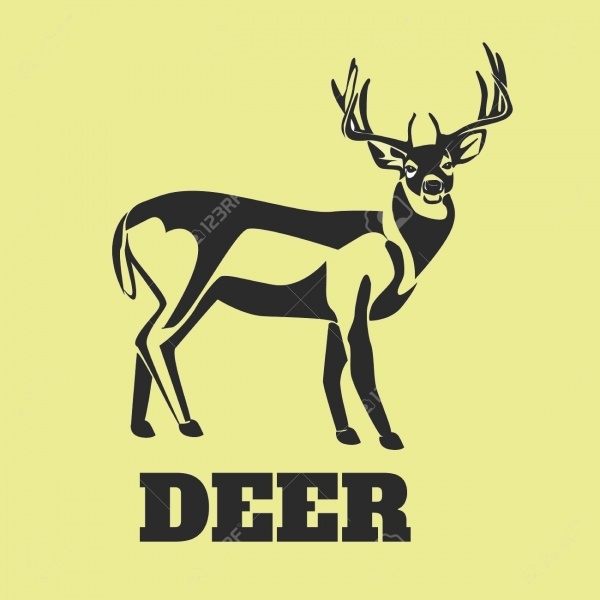 This is a single deer-head image. The animal looks elegant in the dark theme. These are used in stickers and you can edit the text written over the image. 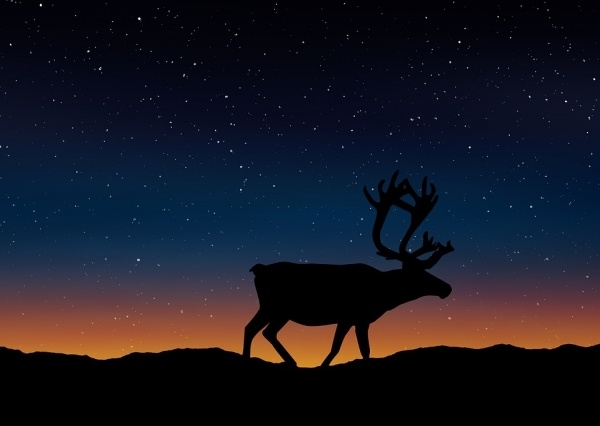 In this template, a full-grown deer has been depicted in a close-up position and the sky above is studded with stars. Download the image and print it for personalized use. In case you need an edited version of a deer in the solid green foreground color, this template will serve your purpose. The solid sketches of mountains and the moon. 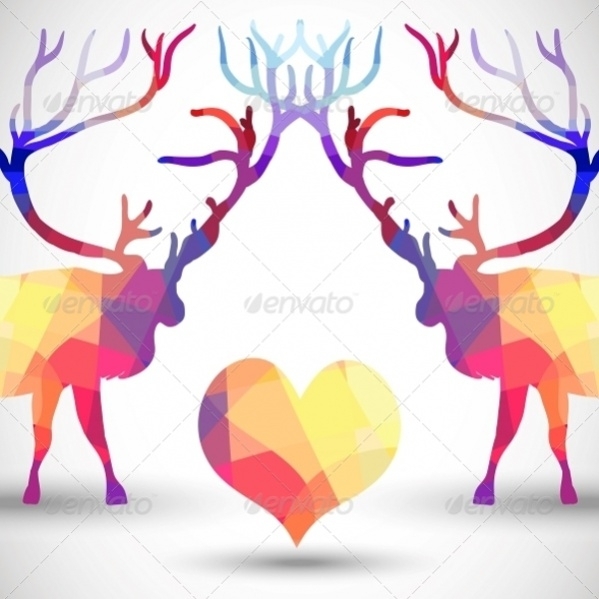 How to use these “Deer Silhouettes”? Wildlife is often used as the theme in books for children, magazines, cards and other academic purposes. These are also used in home décor accessories, car stickers and so on. You can browse through the website and choose the templates that match your requirements. Having done so, simply download them and incorporate the images in various places. You may also use them across various online platforms, or use as prints in various fabrics and crafts. You can avail these templates for free. The needs and aptitudes of individuals vary from person to person. 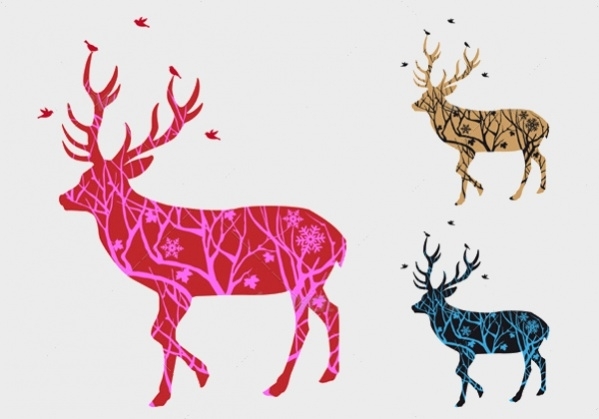 Hence, it is necessary to customize the deer silhouettes from the website according to your requirement. Browse through the website and download the images that you require. There are various color and design variations and you just need to download the suitable templates. You may also see Animal Vectors.